Prospective students and the general public are invited to learn more about graduate studies at Southern Illinois University Edwardsville’s joint Graduate Admissions Open House and Graduate School Research Symposium on Monday, April 1. The Graduate Admissions Open House will be held from 11 a.m.-4 p.m. in the Pre-Function Room, adjacent to the Morris University Center’s Meridian Ballroom. The Graduate School Research Symposium will be held from 2:30-4 p.m. in the Goshen Lounge. 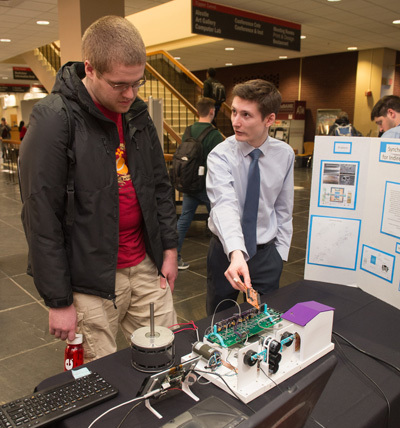 A list of student research presentations is available via siue.edu/graduate-school-symposium/index. Registration is not required to attend the Graduate School Research Symposium. 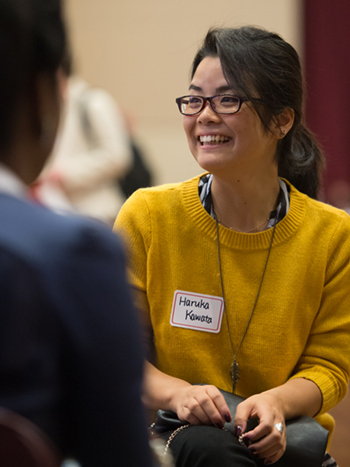 Photos: Haruka Kawata previously attended the SIUE Graduate Admissions Open House to learn more about the art therapy counseling program and gain the perspective of current graduate students.